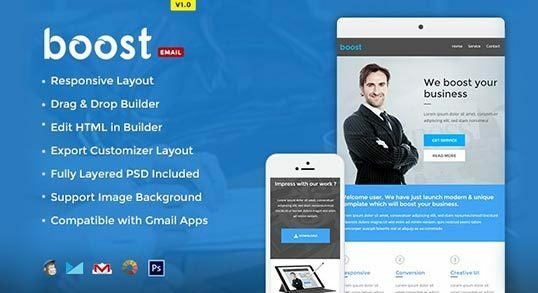 Premium email templates using HTML & bootstrap newsletter from theem'on can help your promotional email marketing campaign, blog alerts, etc. stand out in your recipient's inbox. 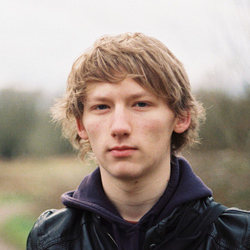 Are you looking for a way to implement professionalism in your email content! Then you are at the right page. 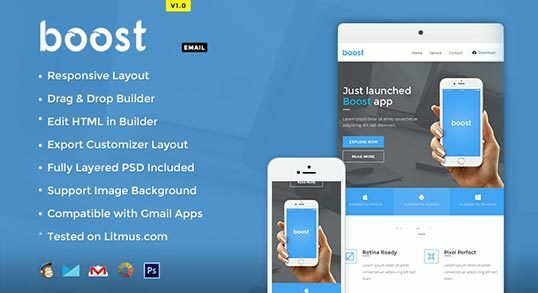 Just go through the following given set of brilliantly designed bootstrap email newsletter templates that can work for all the businesses. The responsive email templates are the best way for the businesses to deploy the marketing campaign and manage their online reputation. Therefore, find your relevant newsletter template and get it downloaded instantly on your system at the best price in the email template scenario. Newsletter email templates are a kind of predefined layout that come loaded with various imperative elements (call-to-action, color scheme, theme, header image and footer) to streamline email marketing effectively. This is the best to way to minimize the efforts and time in creating the premium email templates from the scratch. There are multifarious newsletter templates available that can fit well to your business and ensure a better prospect. 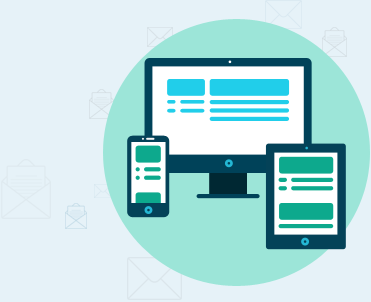 With responsive email templates, the business can shed light on the various significant features of the organization in order to help the customers understand the services, workflow, and products. Besides this, it will also bring an amazing experience to recipients. All the premium email templates come with unparallel features, such as faster loading, easy-to-administer and seamless maintenance. These email templates do not require any configuration. Along with this, these are bugs-free, highly responsive, and easy-to-customize. Every newsletter template is perfectly designed with the high-grade functional elements that can not only boost the business but also ensure a long-term prolific growth. Every email layout is well-tested with different browsers and platforms in order to minimize the chance of hassle in implementing the content in premium email templates. In order to ease the way for the end-users to administer the newsletter template, here every responsive premium email template comes with the proper documentation. In the documentation, everything is properly explained so that the users can get every bit of information related to the functionality of template and start using that without any hassle. All the newsletter templates are designed to be highly responsive and compatible with every mobile platform to provide the consistent experience to the end-users. Moreover, the faster loading of premium email templates enhances the chances of the newsletter to get read by the recipients that in turn make the email marketing successful. 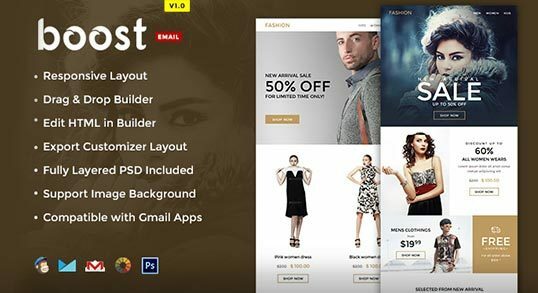 Every responsive premium email template is bestowed with multifarious theme options, such as color menu, image customization and many others. All these features enable the end-users to customize the newsletter template according to the specific design. This will help them establish the image of brand among their customers. 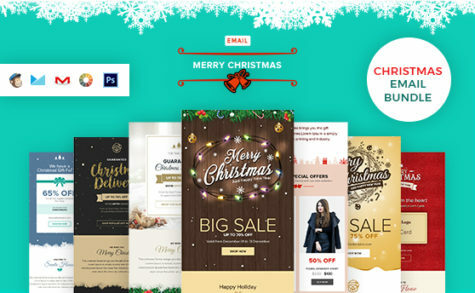 For making newsletter template dynamic, all the responsive email templates are designed with the help of powerful technologies, like HTML5, CSS3, and others. These technologies also make the premium email templates reliable and flexible as well as compatible with the future upgrades. Also, it becomes easier for the users to deploy imperative changes. In order to make the marketing campaign influential & effective, the content plays an imperative role. Hence, all the premium email templates & email newsletter templates come with superb design and perfect elements that enhance the readability of the content, which in turn boosts the customers’ engagement. This will also helps the customer to remember the brand.